McMindes Hall is co-ed by wing and by floor and available to first year and returning students. Home to approximately 620 students, the McMindes community is intentionally designed to empower the new student to make a successful intellectual and social transition to college life. Unique features of McMindes Hall include private pod-style restrooms and showers and the only on-campus dining facility. 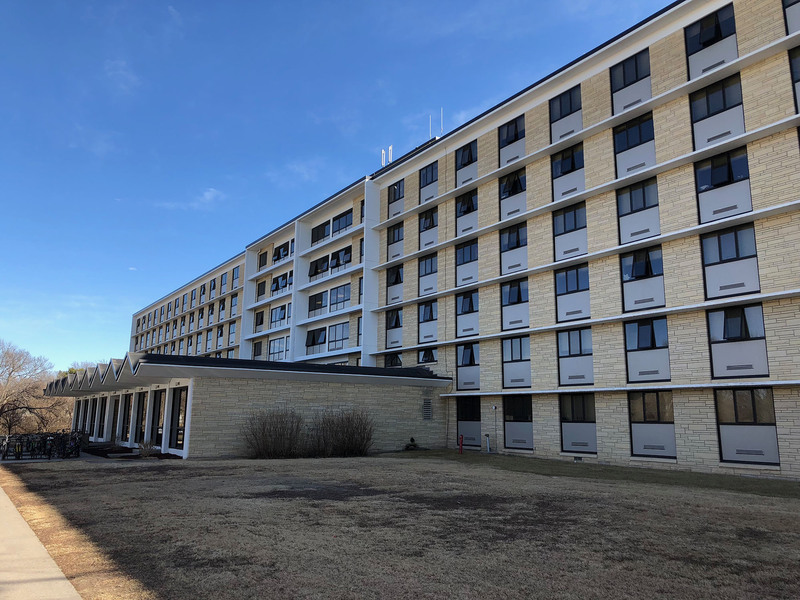 McMindes Hall was constructed in 1963 and was originally a female-only residence. The hall is named after Maude M. McMindes, the FHSU Director of Secondary Teacher Training and Director of Student Teaching from 1930-1968. Maude M. McMindes is known for reforming and improving the Secondary Education program during her tenure at FHSU. *Rooms ending in -44 or -90 (ie. 244 or 290) have approx. dimensions of 7'10"' x 15'x7"' and have furniture that is stackable and moveable for your decorative convenience.